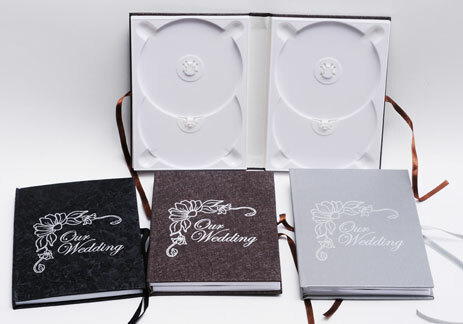 Handmade cases for CD's and DVD's, covered with linen textile, of strong manufacturing, single or double in colors ecru (wedding), blue and rose (baptism). 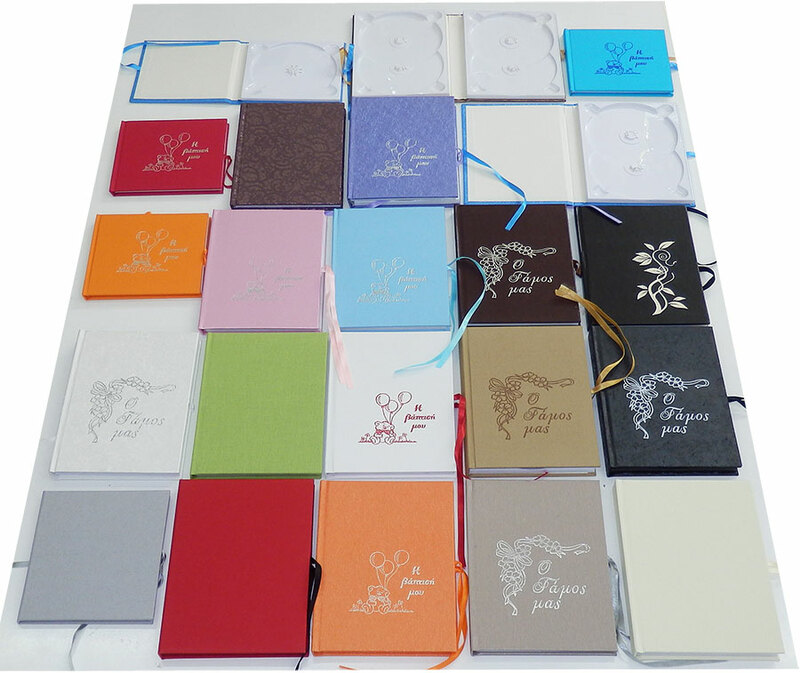 On the cover there is a printing with embossed silver print. A beautiful ribbon decorates and ties the case to avoid the opening of the case. On the inner side of the cases there is space suitable for photographs or texts. 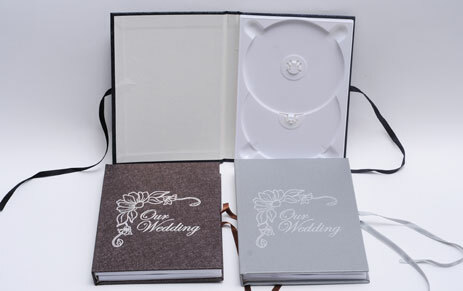 Our experience in the manufacturing of CD - DVD begins in 1992 and we believe that the series of cases by Ikaros Music can offer you the opportunity to upgrade the presentation of your video recording. 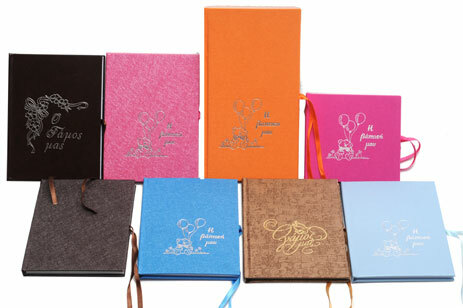 Your clients also to archive the wedding or the baptism in a luxury case.